Dr. Douglas Firth was a young Toronto osteopath. 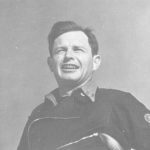 In the late 1930s, wherever there was skiing, he mobilized people to provide rescue service to injured skiers. 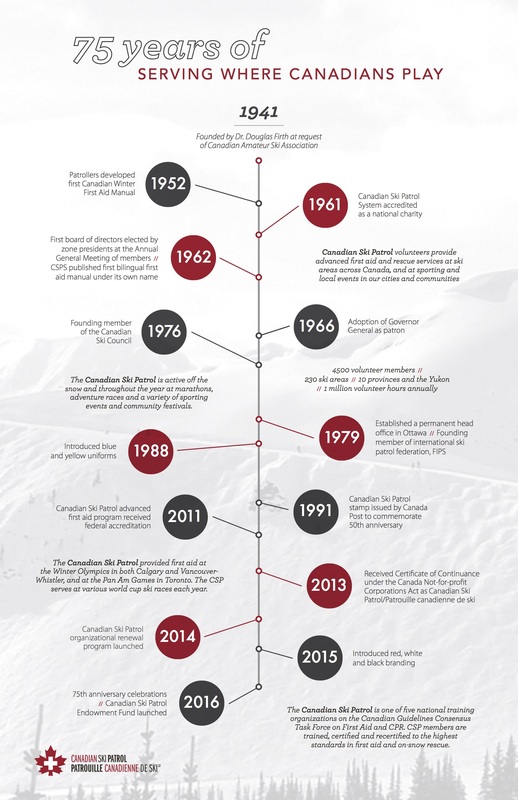 In 1940, he was asked by the Canadian Amateur Ski Association to organize and train a first aid and rescue group to patrol the ski hills – thus forming the Canadian Ski Patrol (CSP). 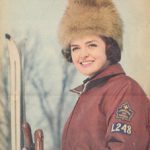 The intention of the alumni association is to keep retired patrollers in touch with the current activities throughout the patrol, and to allow retired patrollers to take advantage of the pro deals that have been made available to members. Anyone who registers will automatically receive electronic copies of “5/5;” the CSP newsletter, via email to keep them informed. For the small price of $5.00, an alumni membership card that has no expiry date is also available. It can be used as proof of membership when making purchases from any of the retailers that provide the CSP with pro deals and other incentives. So if you still yearn to make some turns, or find out who is still making them, sign up today and start your second life in the CSP as an alumnus.